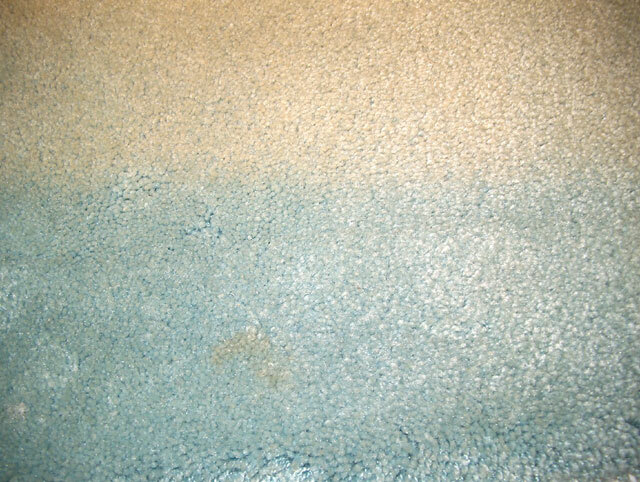 House cleaning and other chemicals can cause bleach spots. 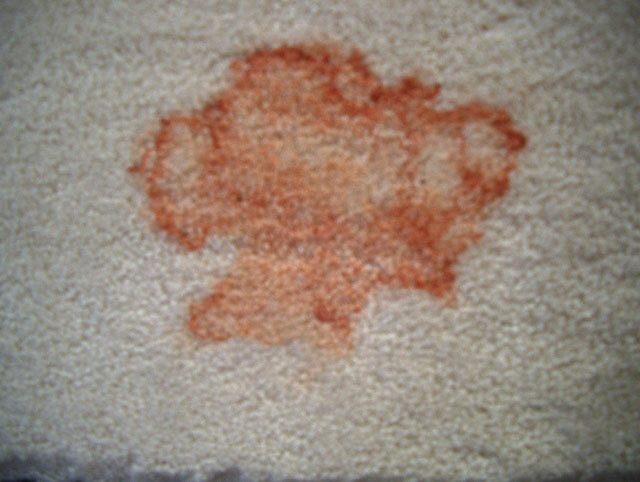 Wine, punch and other colored drinks cause red colored stains. Beauty products and hair dye can cause dark spots. 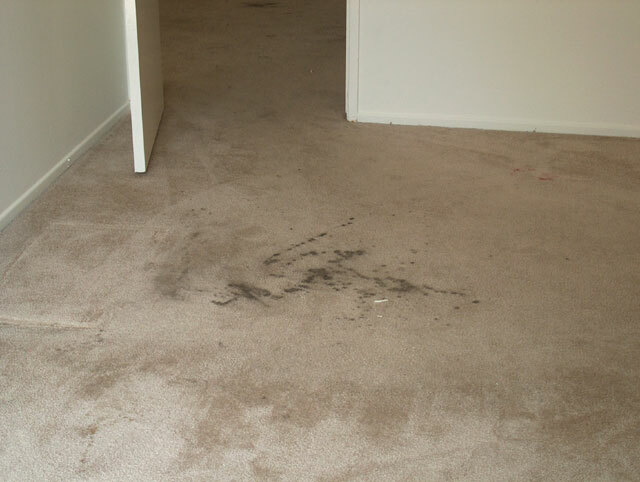 Children's markers, ink, wax, rust, furniture marks can make permanent discolorations. Permanent-colored spots is our specialty. 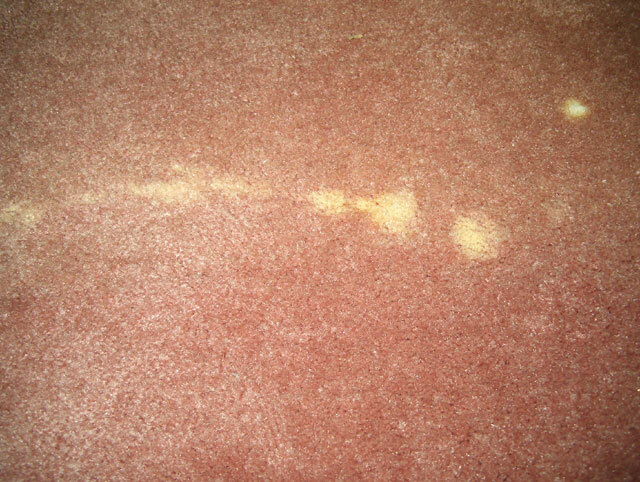 Red spots, Bleach spots, Dark spots. Both direct and indirect sunlight cause fading. Color can be replaced to make it unnoticeable. 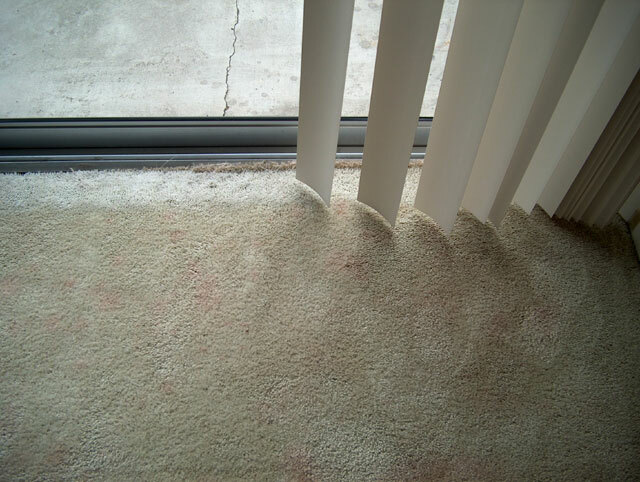 Pet stains are sometimes permanent and need to be re-colored to correct, but the odor can be removed. 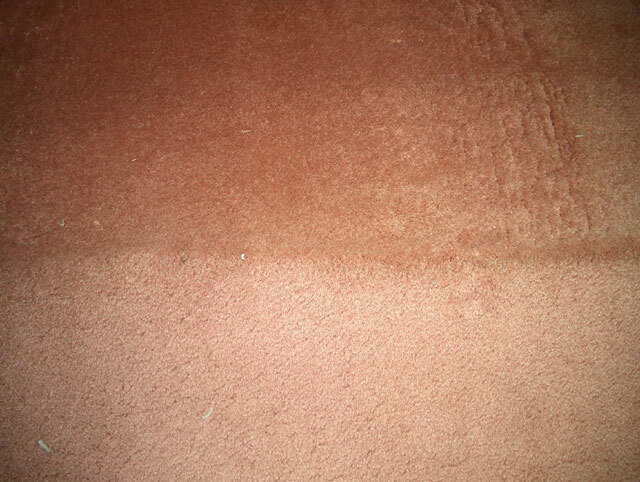 Discolored carpet can be repaired by dyeing to bring color back to the original or a shade darker.